Landry Jones Gets My Nod In 24-19 Win Over Packers | "IT'S A STEELERS WORLD"! What can I say? He played horribly in the HOF game and Week 1 of the preseason, but Landry Jones stepped up when winners are supposed to. In what most would call a ‘do-or-die’ situation. 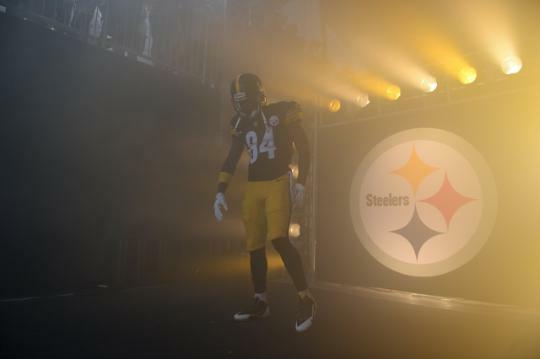 For those who don’t know, the Pittsburgh Steelers came away with their first preseason win of the 2015-16 NFL season. Defeating the Green Bay Packers at home in Heinz Field. Something I had predicted if you read my article on 08/22/15. But that’s besides the point. Ben Roethlisberger came out solid on the first Steelers drive after the Packers 10 play, 80 yard touchdown drive in 5:06. Only to have a touchdown pass to the NFL’s top receiver, Antonio Brown called back on an offensive pass interference. Leaving the score 8-0 after a 4th down punt. But that didn’t damper the Steelers hopes. Because after a James Harrison safety sack on Aaron Rodgers (his second in two weeks/plays), Roethlisberger came back with a no-huddle offense for their 7-play drive to go 51 yards in just over three minutes. Ben Roethlisberger connected on a 5 yard pass to Markus Wheaton to put the Steelers up 9-8 just 3:17 into the second quarter. Roethlisberger would exit the game uninjured, going 11-14 for 100 yards and 1 touchdown. Unfortunately the biggest headlines from this game will come from the injuries. On the first offensive series of the game Steelers center Maurkice Pouncey was carted off with an ankle injury and would not return. Steelers defensive end Stephon Tuitt would follow the same path with an ankle injury and a ride to the locker room on a cart. Steelers backup quarterback Bruce Gradkowski played only a few snaps before he left the game with a finger/hand injury. The Packers weren’t immune themselves from the injury bug as they lose wide receiver Jordy Nelson for what looks like the season. Needless to say I ate my previous words about Jones after that play. And did what any real man would do, let him know about it on twitter.